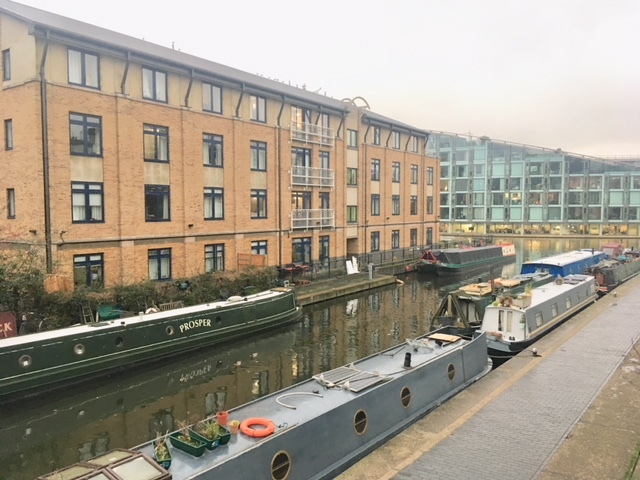 Situated in Islington, Wharf Road is well located for the amenities and activity of Upper Street. The Bridgeside Lodge care home is situated next to the mooring site and some noise may be noted from the facility. In turn, mooring customers must not negatively impact the residents of the care home. There are two business boats based at the mooring site. The boats are skippered trip boats but the business is not operated from the site. Angel Tube Station, local bus routes and shops are approximately 10 minutes' walk from the site. Each berth is served by shore electricity, water and telecoms, with an elsan for permit holders' use only. The site can be seen from the towpath opposite, but access to the site must be arranged with the mooring manager.